Hello fellow Farmers. Today is my last post as a member of the Design Team at The Greeting Farm. I have so enjoyed my year creating projects to inspire you all to get inky with their fabulous images. I have had a blast working with the rest of the DT Girls, and also loved seeing all the creations that you have all come up with as well as you have participated in our FFF Challenges. 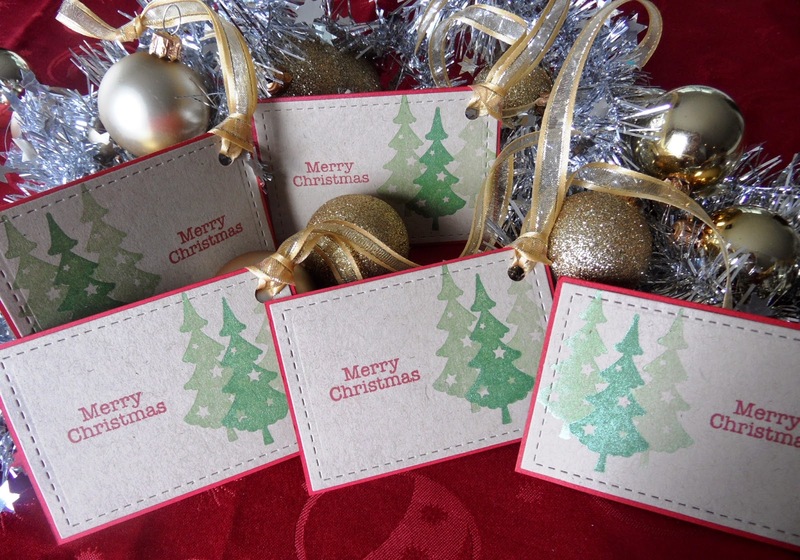 For my project I created my Christmas gift tags using the tree image and sentiment from the Dollie with Gifts set. I used Lil' Inker Design stitched rectangle dies to cut the tags out. Then used Dew Drop Brillance Pearlescent Thyme ink. It has a shimmer which is hard to see in the photo. I inked the tree once for each tag and triple stamped which gives the different gradients of colour for the trees. Hope everyone has had a fantastic 2014 and wishing you an even better 2015! !